The best couples understand that even in the busiest of times, you should still make time for each other. Through long hours and busy schedules from their medical professions, the two always supported each other. While John’s original rule was to stay a bachelor through his residency, his love for Christyna changed his mind. Their strong relationship led them to a joyful wedding day, starting out in Logan Square. At The Logan, the couple and wedding party prepared for the ceremony, located at St. Peter and St. Paul Basilica. After relocating to the Basilica, the ceremony began. In front of family and friends, John and Christyna joined together in a new partnership. 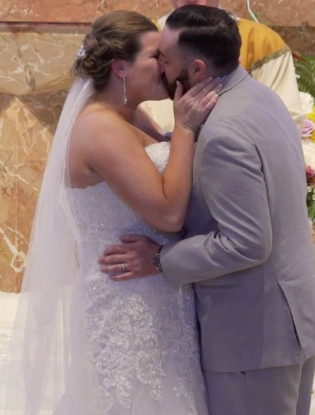 They vowed to stay by each other’s sides and continue to grow in faith and love together. The newlyweds then relocated a third time to the Please Touch Museum in Fairmount Park. The charming venue came with a carousel ride to begin the celebration. In the banquet hall, Carl Alan Floral Designs decorated the room with gorgeous flower arrangements. The fun continued as CTO Tribeca began to entertain with their 10-piece band. Guests danced and sang along to keep the celebration going. 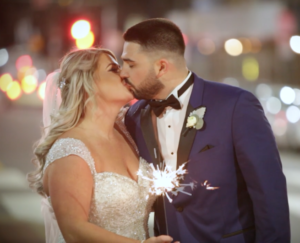 Throughout the exciting day and night, our Allure Films team captured these exciting moments. Our friends from Philip Gabriel Photography also helped capture these memories in photos. We were honored to capture this day for Christyna and John for them to look back on for years to come. Congratulations Christyna and John! We wish you happiness in every day together! After months of practice, Logan starter her Bat Mitzvah celebration at the Bluestone Country Club in Blue Bell, Pennsylvania. Surrounded by family and friends, Logan led her transitional ceremony. While everyone was happy to be a part of the ceremony, Logan’s mother looked especially proud of her daughter. She reflected on her own Bat Mitzvah, twenty five years prior, to tell Logan how important this day was. The Rabbi remarked on Logan’s hard work and how her “light” shines through her in everything she does. After the touching ceremony, Logan and her guests relocated for her party. As Logan entered the room, she joined her mother on the dance floor for a synchronized dance. Other dancers also joined in for a choreographed performance her guests will always remember. Surrounded by so many people, Logan and her guests danced all night. The fun continued as Logan’s friends told her how much they appreciated her friendship over the years. The love and support given to Logan made her Bat Mitzvah truly special. 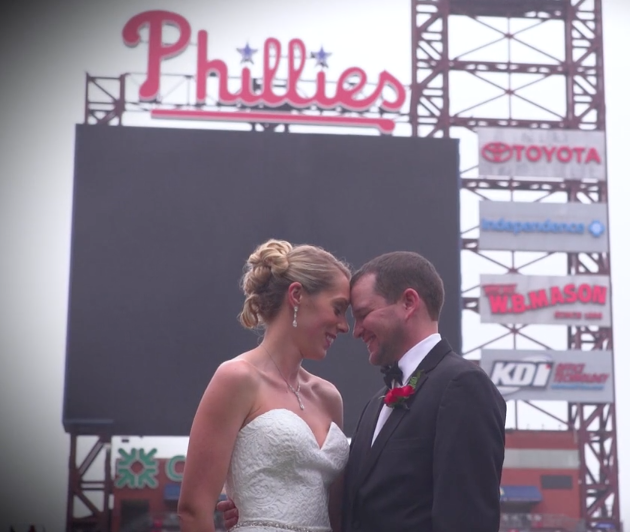 Our team at Allure Films was grateful to capture such a heartfelt day. Mazel Tov, Logan! We wish for more happy memories for you and your family. The sun shone down on couple Jennifer and Zachary on their wedding day. 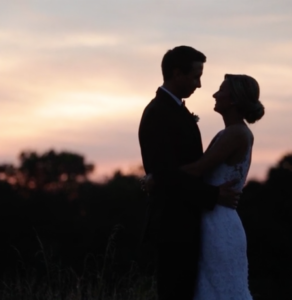 The two had perfect weather for their outdoor wedding at the scenic Ellis Preserve. The preserve’s greenery complimented the pastel styled wedding and made the bride stand out even more. After six and a half years together, Jennifer and Zachary tied the knot. The two were not short on supporters with their nine pairs of bridesmaids and groomsmen who joined them. After the ceremony, guests headed inside to the ballroom for the reception. Bridesmaids, groomsmen, and family members all told heartfelt speeches about the newlyweds’ love story. BVT Live’s Jellyroll Band entertained at the ceremony as well. They sang and danced with the guests and kept everyone entertained. 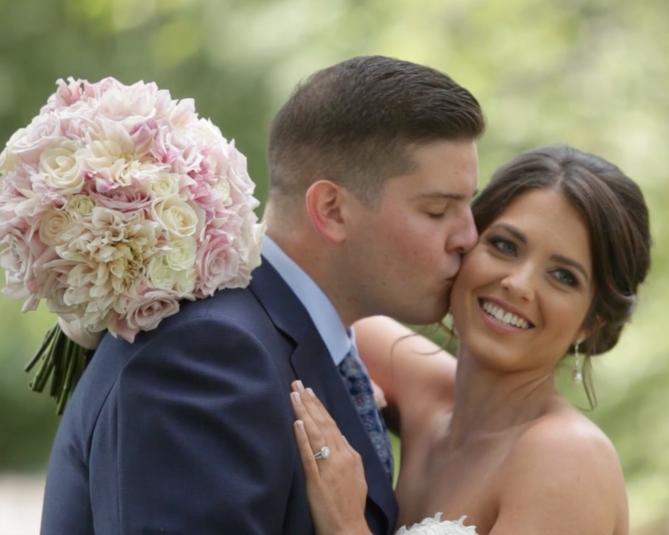 Our team at Allure Films captured this special day on film for the bride and groom. It was an honor to film at the Ellis Preserve. The Finley Catering team always does a phenomenal job with five-star food and service. Expressions by Talia also photographed all of the newly-made memories. Congratulations Jennifer and Zachary! We wish you a lifetime of happiness. Colleen and Steven wanted an elegant wedding day that also showed off their personalities. They started out with a beautiful ceremony at St. Timothy’s Church. Colleen wore a sparkling dress while her soon-to-be husband wore an indigo-colored tuxedo. 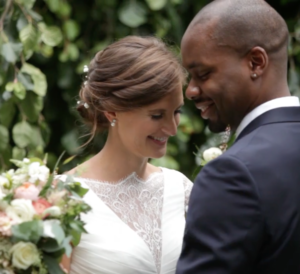 The two exchanged vows at the alter and their family and friends erupted with cheers. After the traditional ceremony, then came the fun. Before the reception, the wedding party covered their formal attire with customized Eagles’ jerseys. Colleen and Steven used their wedding to celebrate the Eagles’ 2018 Super Bowl victory. They even had a Super Bowl-themed cake. The wedding party kept the fun going at the reception at Cescaphe’s Vie. Located in Center City, Vie is Cescaphe’s largest venue. The French-style space was a perfect choice for the couple’s large entourage of guests. Our friends at Jelly Roll from BVTLive! kept the entertainment going all night long. With Jelly Roll’s entertaining performance, it wasn’t hard to keep the excited group on the dance floor. Our team at Allure Films captured the unique wedding day on film. John Barone Photgraphy also joined us and took great photos throughout the day. Congratulations Colleen and Steven! We hope every day is a celebration for you. 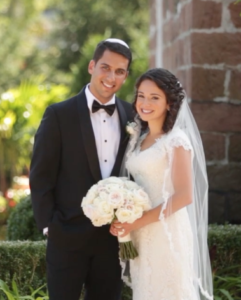 Emily and A.G.’s families melded together on their wedding day. Emily’s mother gave a speech on how grateful she is that Emily found someone that makes her happy every day. Throughout the day, the couple could not stop smiling at each other. The newlyweds and their families celebrated together and danced the night away. Our team at Allure Films filmed this heartfelt day. It was great to work with Alison Conklin and her team as they captured great photos of the day. We were honored to be a part of this event as Emily and A.G start their lives together. Congratulations to the lucky couple! We wish you many more smiles.